A dynamic arm support is an assistive technology product which helps people with limited arm and shoulder function, to move their arms and hands freely (again), and therefore make it possible to conduct all kinds of daily activities. 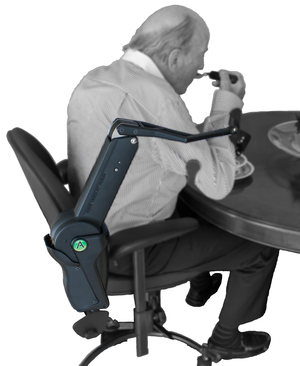 Our arm supports have a unique mechanism that compensates the weight of the user’s arm. Thereby the arm feels weightless. People with limited function can then use the strength they have got left to lift and move their arm again. Our arm supports do not take over any function. They only support the arm. The user makes the movements him/herself, using the strength he/she’s got left. This is good for the muscles, joints and motoric functions of the user. 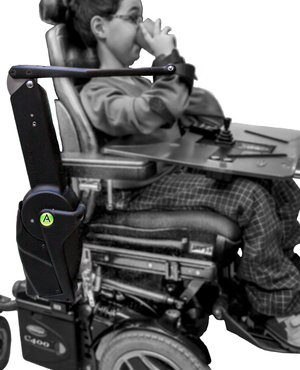 Our products follow all the movements and support the arms in a 3D area. We have four different arm supports. These arm supports are ascending in functionality. 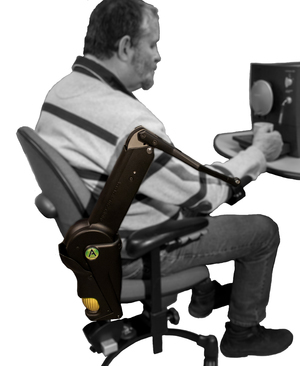 The less strength the user has, the more advanced the arm support should be. 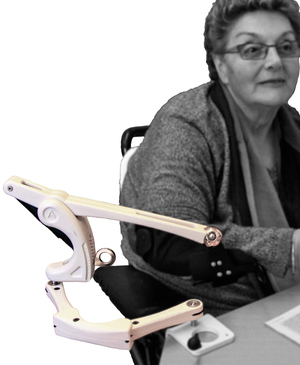 All our arm supports can be mounted on a floor stand, office chair, work chair, manual- or electrical wheelchair. The Armon Edero can also be mounted on a table or desk.